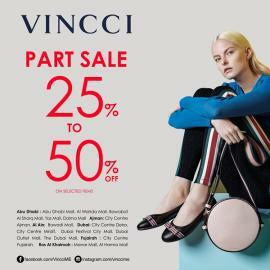 Vincci - Part Sale 25% to 50% off on selected items. Promotion Date: 22nd June to 4th August 2018 (Dubai). 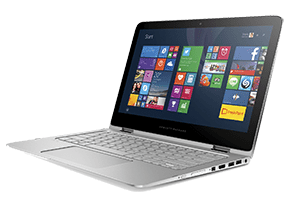 Promotion Date: 22nd June to 21st July 2018 ( Other Emirates ). Part Sale 30% to 50% off on selected items at Dubai Outlet Mall - From 22nd June to 4th August 2018. 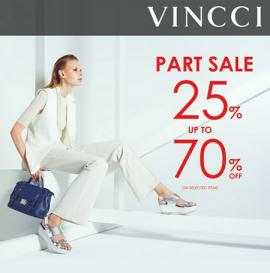 VINCCI - Part Sale 25% to 70% off on selected items. 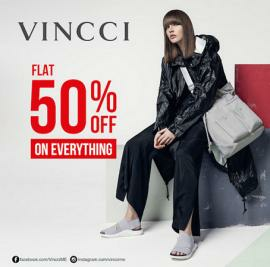 Everything at 50 % off at Vincci for 4 days only! Stock up on the stylish range of shoes and bags. From 30th November to 3rd December. 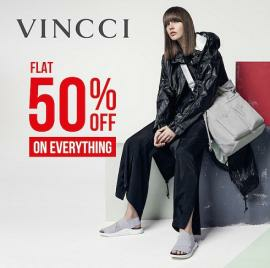 VINCCI - Flat 50% off on everything for 3 days only. Offer valid from 23rd to 25th of November, across UAE. 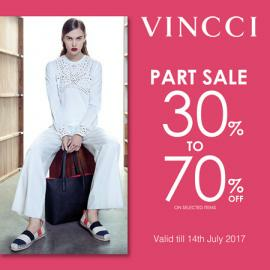 VINCCI - Part Sale 30% to 70% OFF on selected items. 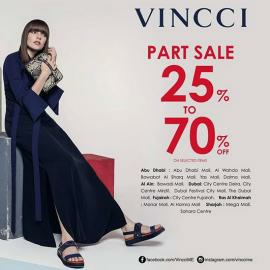 VINCCI - Part Sale, 25% up to 70% off on selected items. The same approach is extended to their bags and accessories collections. By adhering to affordability, trendiness and a quick-to-market strategy, Vincci is today an iconic brand with a huge global following of adoring shoes enthusiasts. 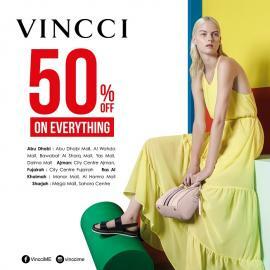 Get all information about Vincci Special offers, Vincci Dubai offers, Vincci promotions, Vincci latest deals and promotions in UAE, Shopping Mall offers, Vincci Abu Dhabi offers, footwear & handbag offers and Vincci sale in Sharjah by browsing through TomatoSALE.